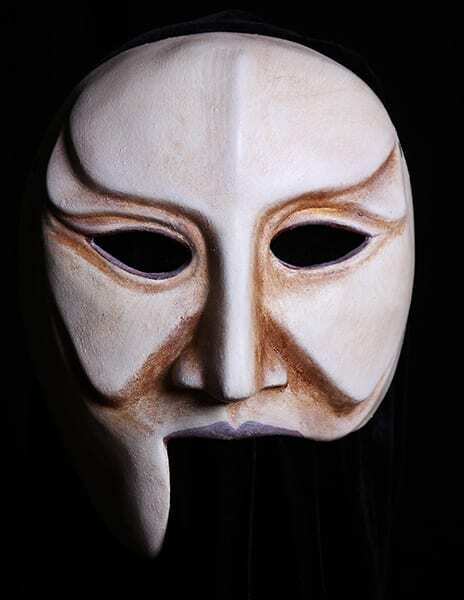 The half mask of Antigone for the play Burial at Thebes is a Greek mask with the expressive qualities of strength, direct resolve and kindness. Antigone is the oldest daughter of Oedipus. The meaning of Antigone’s name, one who is of opposite opinion. She takes pity on her brother’s corpse and in defiance of the law covers him in ashes. For so doing she is sentenced to death.